2018 will be the year where frank talk about race and racism in newsrooms will replace ephemeral promises to diversify. From the front pages of the country’s most prestigious newspapers to the anchor desks of the most influential radio and television stations, journalists of color not only remain less visible than their white counterparts, but they are less likely to be in senior roles and often paid less. Digital media has narrowed the representation gap some by allowing for many more voices to enter the scrum and fill Twitter with smart, engaging reporting and commentary from a variety of marginalized communities. But bemoaning the paltry percentages of journalists of color in newsrooms around the country isn’t enough. We also need to talk about what is driving it: attrition, harassment, stalled careers, and the daily psychosocial toll of bias. American newsrooms are 84 percent white, and overwhelmingly male. In a few decades, our country won’t be. separate and unequal,” newsrooms must again confront their roles in creating many of the racial narratives we understand today. They must also confront their own institutional racism. These issues aren’t new. This fall, as a visiting professor at Princeton teaching a class on race and the media, I assigned News For All The People: The Epic Story of Race and the American Media by Juan Gonzalez and Joseph Torres, which detailed the historical fight for racial and ethnic representation and parity in newsrooms around the country from colonial depictions of black and Native Americans as “barbarous” and “rebellious” to the suppression of stories by and about communities of color. We read Volunteer Slavery, Jill Nelson’s scathing memoir of her experience as the first black woman to write for The Washington Post Magazine. We analyzed the racial dynamics at play in the plagiarism scandals of Jayson Blair, a black New York Times reporter, and Stephen Glass, a white writer for The New Republic. We read Suki Kim’s piece on the sexual harassment and bullying of women, particularly women of color, at WNYC. We followed the Jemele Hill story and read the controversial New York Times profile of a Nazi sympathizer. All of our guest speakers were black or Latino. We went to places — literally and figuratively — where we hadn’t gone before. We consumed media that wasn’t made for us or by us. I assigned these exercises, in part, because one of the biggest mistakes the media punditry made about the 2016 election was underestimating the power of racist rhetoric in the campaign. There was a disconnect between what journalists of color were seeing and what white reporters were seeing, what white audiences were consuming versus what black and brown audiences were reading. In the name of diversity efforts, which often move slowly or fail to inspire at all, journalists of color are often asked to take on the extra (and often unpaid) work of sitting on panels, serving on diversity committees, finding and recruiting “diverse” talent, and editing and fact checking the work of other journalists who write about race. Frustration begins to set in when you ask employees for all of that and give them nothing in return. But change is happening. And it will continue to happen at a rapid pace. Exactly one year ago today, I published a guide for how newsrooms could stop being so white. This year, I’ll add a simple request. 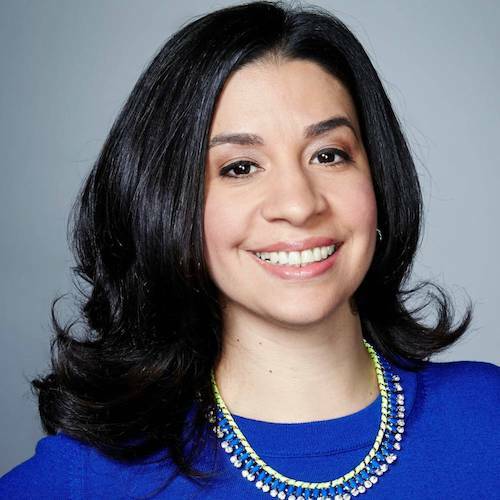 Tanzina Vega is a journalist and a Ferris Professor of Journalism at Princeton University.